I have recently had an interesting exchange with Martin Pike, who has previously flown Rapier powered models. I often read your articles and consider jet-scale models, but I am not too keen on rockets (not really suitable for my young children). However, I was interested in the 18mm EDF unit, having flown a few D. Knight powered prop planes. Do you know of anyone that has had success with this EDF unit in a Jetex design - if so who, and which one? Any suggestions? You did mention a Leduc 022 in your article. I am largely interested in FF scale models. The only Jetex powered kit I have is a 13 1/2" KK Hawker Hunter by Albert Hatfull - often looked at, but never started - I supect it is too small and compex for a first EDF model. Would it be worth enlarging? ? 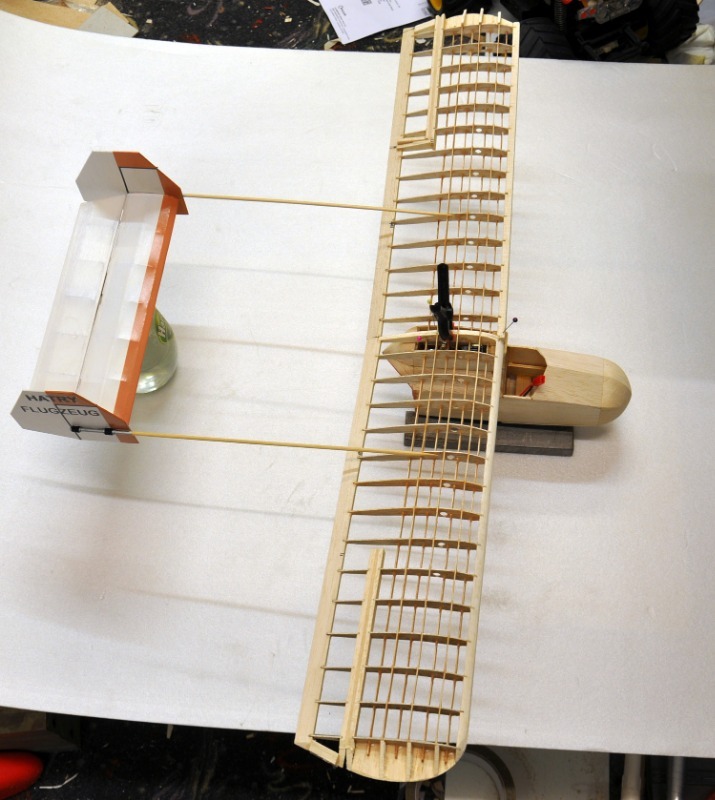 Would you still dangle the motor underneath, or make a 'jet tube' with an exit in the scale position? these are all good questions, and need a longer reply than I am able to give at the moment. Derek Knight has had some success with his 18 mm EDF unit in Jetex 50 size models - a Mirage and a Swift, where the EDF unit goes into the trough. SAMS Models now sell an ' 18mm EDF package' so give Kevin a ring. I'm visiting him this PM to discuss options. One of the problems with EDF is the weight - thrust does not seem to be an issue - and typically a 'Jetex 50' size model with EDF weighs about twice the equivalent Rapier powered model. The ones I've seen fly, but not with any gusto (yet). That said, I think EDF is the way to go as Rapiers are so ... er .... unpredictable! I think a FF EDF model needs less weight and lots of area, and I'm experimenting with an 'Arbalete' foamy. As my indoor version flies well an EDF version is worth trying I think. Expect an article about all this in the autumn, if my health allows. The Leduc lacks area, as does the Hunter, so (to start with) I would try a delta. That being said, I have a very nice EDF Vampire plan! Has anyone tried putting an 18mm KP fan inside a fuselage, where the jet engine would have been? 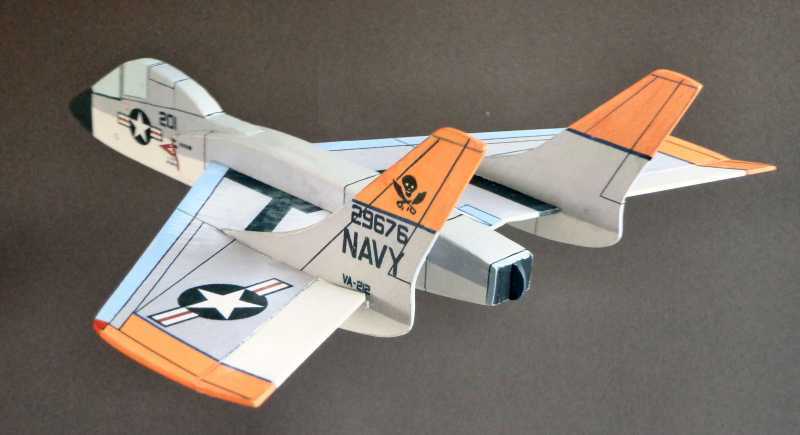 I could not see this on the net, although there have been larger rc planes done this way. I presume that the fan needs to be fed air through a duct, in contrast to the Jetex rocket that only needed an exit. Which delta model did you have in mind? It weighs about 50g; thrust (according to Kevin)30g. It is as yet unflown. 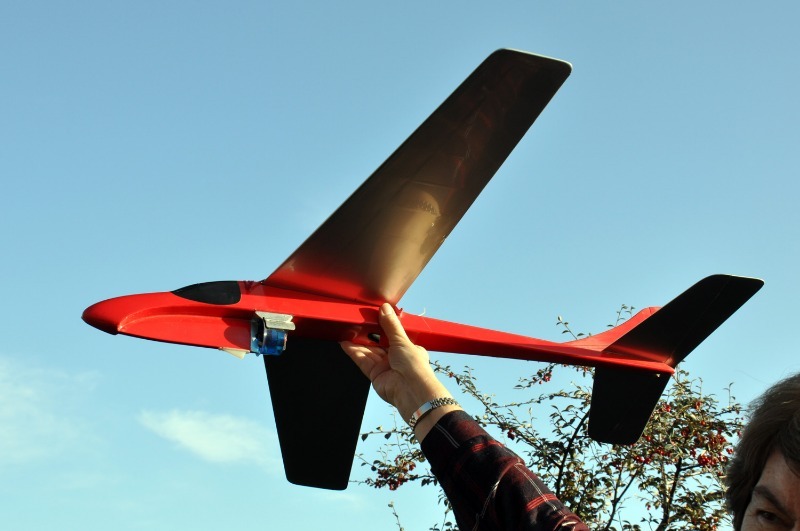 The EDF unit for a more robust fast flying outdoor model will be in the body of the fus. An Avro 707 is also a good candidate. There is plenty of area and the elevons allow flexible trimming. 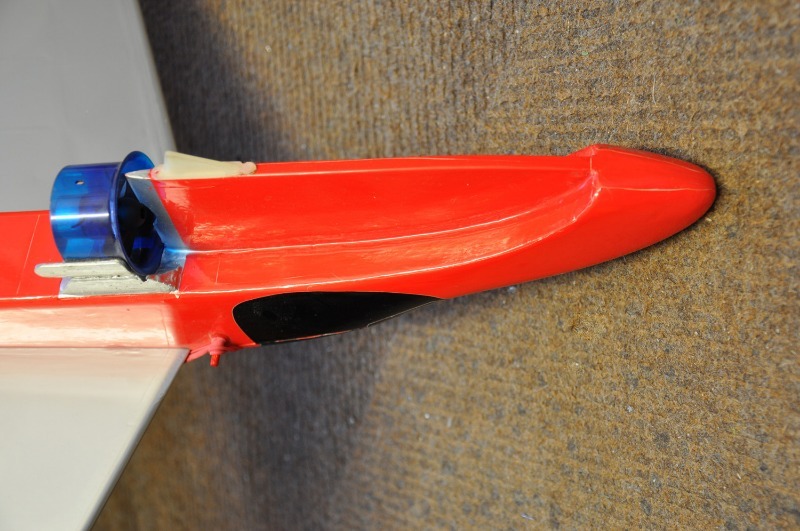 The EDF will be semi-buried in the fuselage and the intakes will be operational. 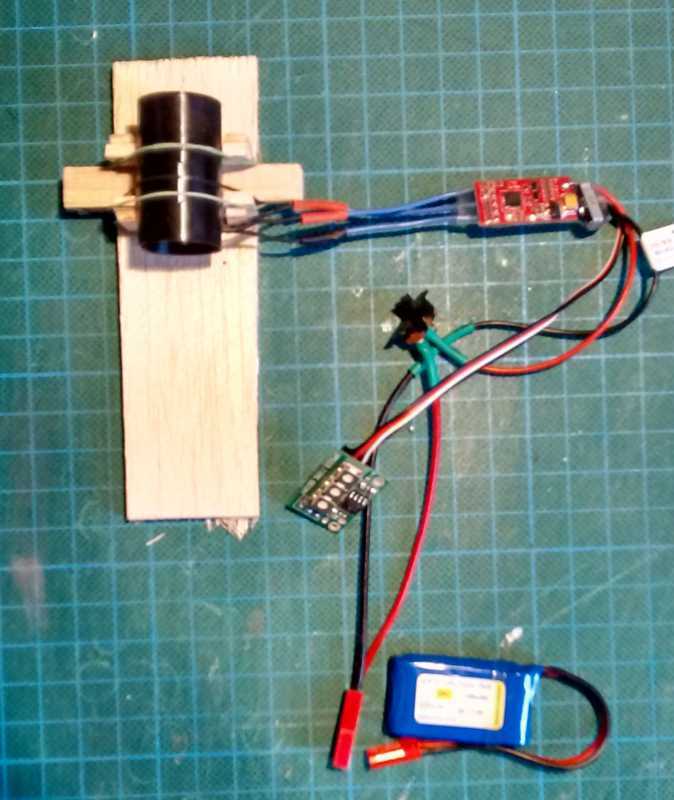 Derek Knight has now combined the timer and ESC in a single unit to simplify instillation. 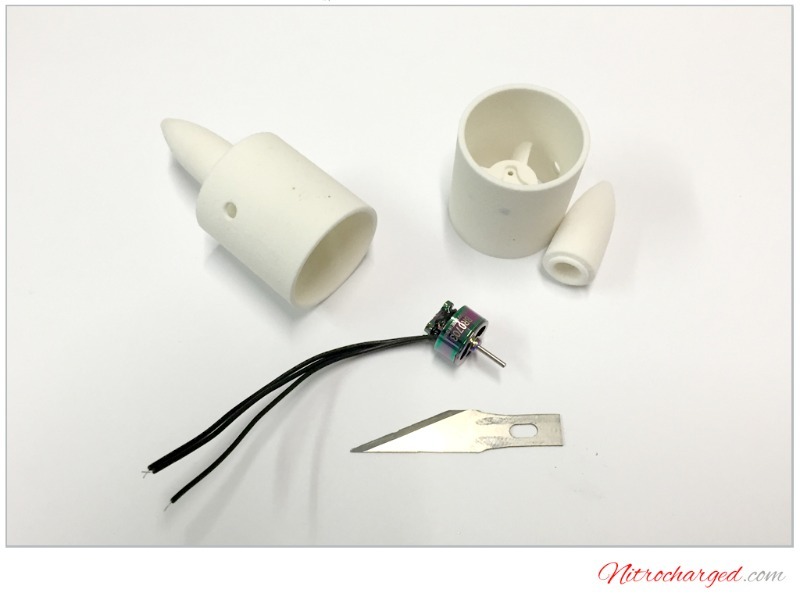 I am currently working on a 20mm EDF fan that may prove quite useful on the smaller rapier stick and tissue models. I've almost finished the first test build of the fan. The case is 3D printed. 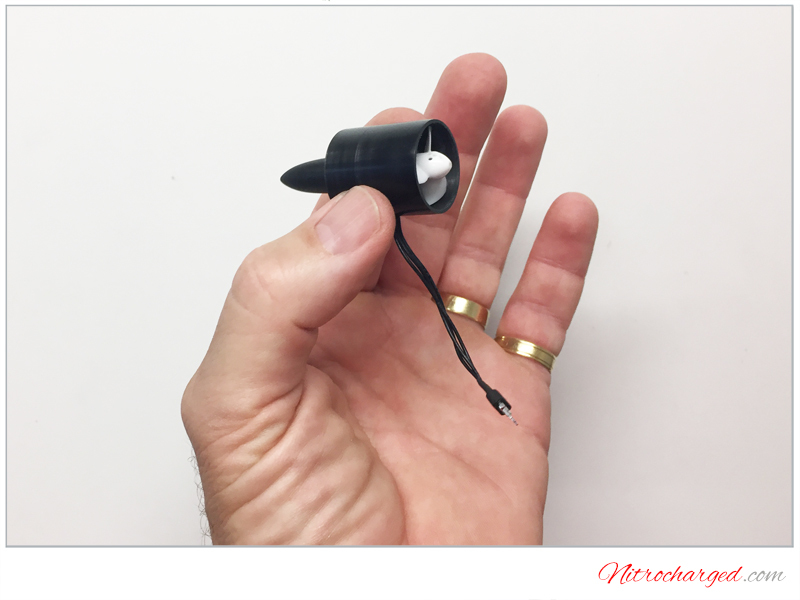 The outrunner is a 10mm dia 15,000kV unit. This looks a very nice professional unit. Any predictions of power and weight? I have been talking to Kevin of SAMS Models about EDF for profile type 'Jetex' models. 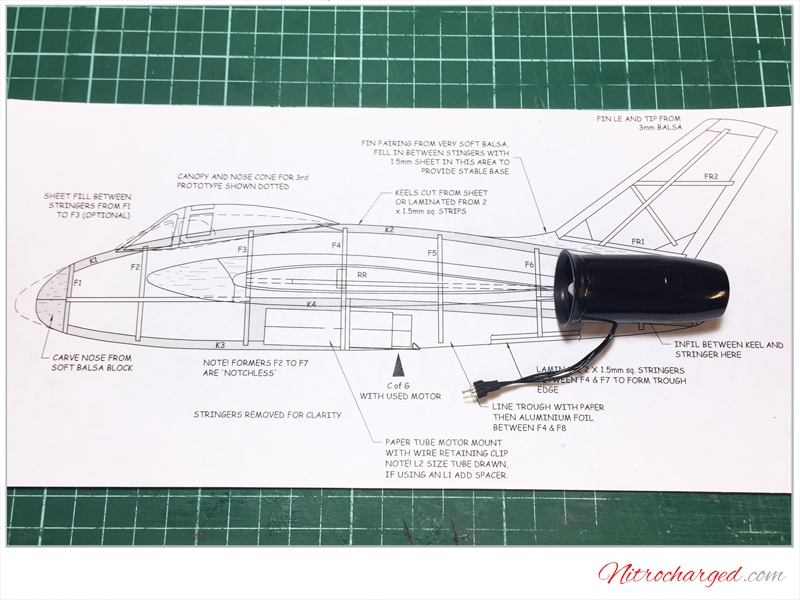 We obviously want to hide the batteries and timer, so a 'semi profile model with a 1/4" thick fuselage is they way to go (think Veron Quicky), but Kevin opines the EDF unit could be put in a cut out in the body of the fuselage, rather than in a 'pod' under the main body. This makes sense to me - except for scale designs with a mid wing like the Sea Hawk. But other models in the Jetex Store could quite easily be adapted - the Red Arrows Hawk or better stil, Cutlass for example. Most profile edf models have the fuse mount type setup so it would apply to the jetex models without fuss, I would think! I was a keen Jetex flyer back in the early 1950's and the first model I remember building (with the help of my father, about 1948) was the Jetex kit 'Flying Saucer'. 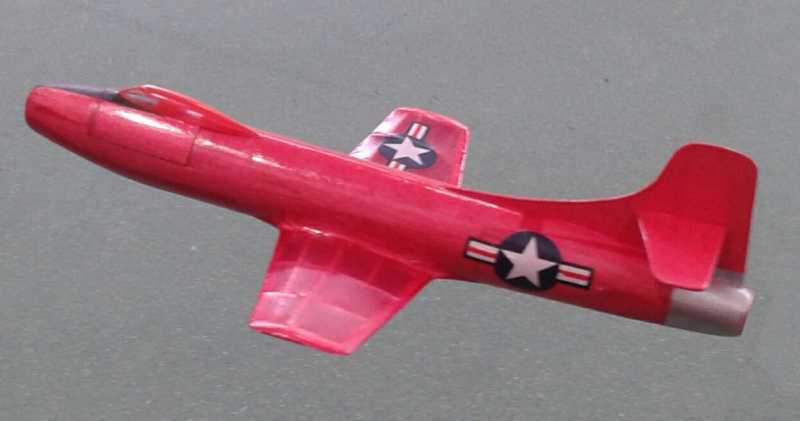 My favorite model was the KK Skyjet 50 and about 5 years ago I built a twice size version with 3 channel R/C and an EDF. 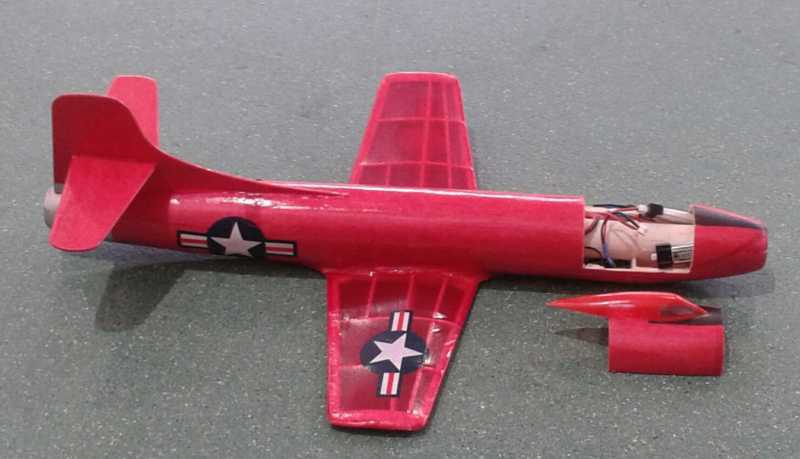 The fuselage was altered to take the gear and let the fan breath, and it flew amazingly well, as did one a friend copied. It also achieved the nostalgia of my early Skyjets without losing them ! Last year I started looking at jetex again, and thought that what I really wanted was an electric unit that would fit in existing designs without major alterations and make them look like jetex models, only with R/C hidden inside them. After much scribbling on scrap paper, followed by much bench testing (some to destruction) I came up with what I call 'X-jets'. The 200 unit is identical in size to original, the 100 slightly bigger, both are lighter and give more thrust. 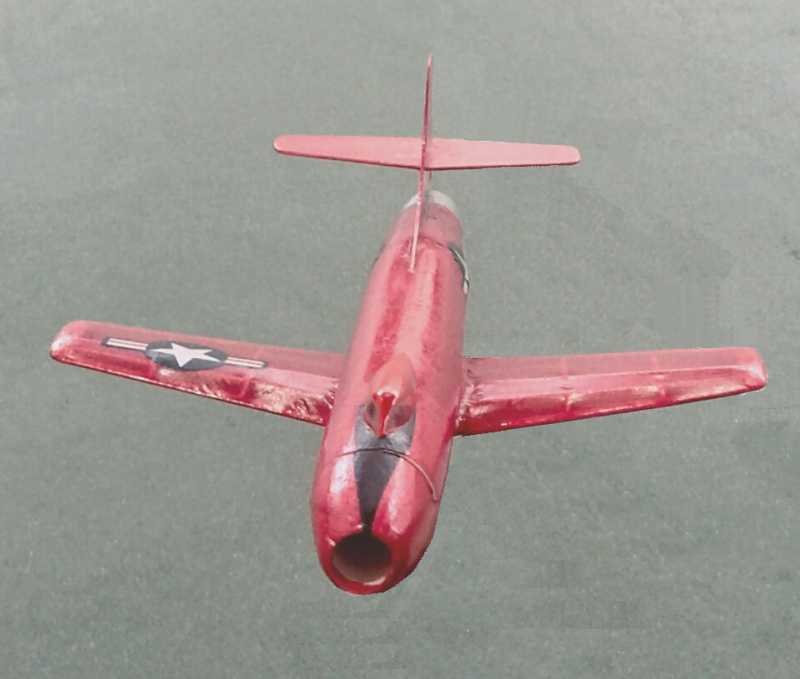 The Skyleada Vulcan 100 is awaiting test flying, the part built Opel is a design by Walt Musiciano for 100 from AM Annual 1951. Hope some of this may be of interest to you. My EDF unit weighed in at a hefty 8g in total, once I added a front venturi lip and reduced rear cone to 85% to pick up the eflux. Not bad for my girst ever home made 3D printed EDF unit though. 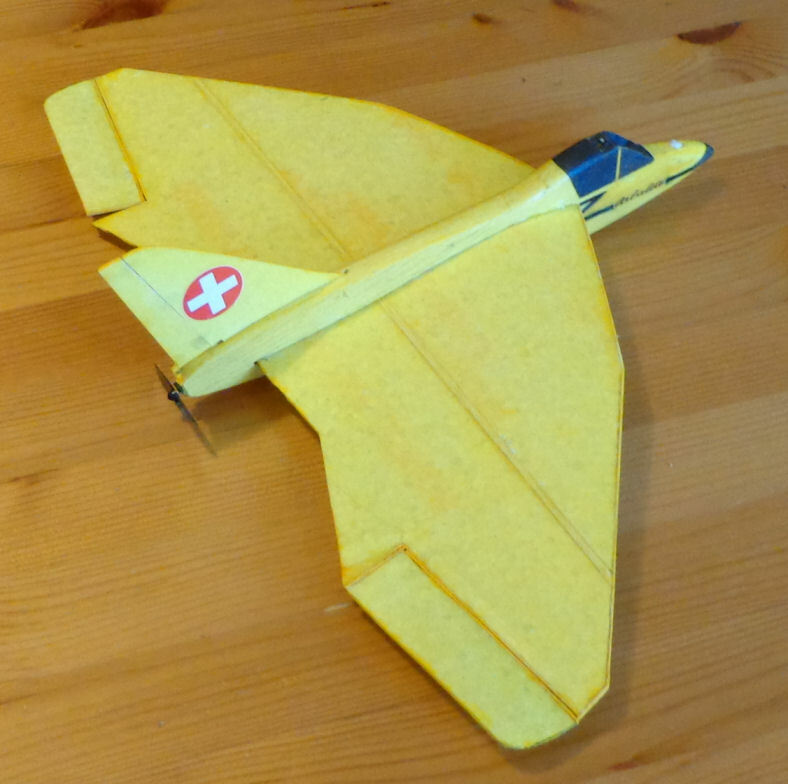 I am now building a DH108 Swallow designed by Steve Bage for it and am hoping to have a nice indoor flyer (but I'll test it outdoors in long grass first! ).